In Brady Hoke’s last game as Michigan head coach, his Wolverines coughed up a whopping 42 points in a loss to Ohio State. 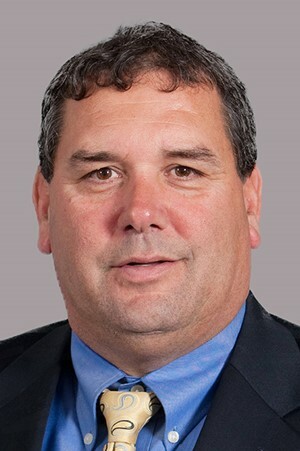 After a year away from coaching, Hoke reemerged this season as defensive coordinator at Oregon. Very little has changed for Hoke since that Buckeye destruction in 2014. In fact, things appear to have gotten even worse. In a humiliating defeat Saturday night, Oregon’s defense was shredded to the tune of 51 points by the previously 1-2 Washington State Cougars. When Washington State decided to pass the ball, they did so with little effort and for big yardage. When it was time for a run, they did that with great success, too. For a perennial football powerhouse like Oregon, this type of performance is more than troubling. When you take into account that it is also their third consecutive loss and the third straight outing that Hoke’s D has allowed 35+ points, it is most definitely time to panic in Eugene. Judging by the Oregon-WSU fireworks exhibition, Hoke must really miss the ugly, grind-it-out nature of many Big Ten affairs. Not that he was any great shakes in that conference, but at least most of those clubs aren’t schooling you for half-a-hundred on a weekly basis. Consider that in the yawn-inducing Wisconsin-Michigan game, both teams combined for 29 first downs. The Cougars of Washington State flew past that number all by themselves, amassing 36 first downs against a shell-shocked Team Hoke. Oregon will have one week to lick its wounds before entertaining Washington, by far the best Pac-12 squad five weeks into the season. It’d be hard to imagine things getting worse for Hoke’s defensive unit after allowing 51 points and 651 yards, but anything’s possible. There’s no word on whether Hoke has been wearing a headset during his time as an Oregon Duck. But after his defense was torn from limb to limb on Saturday night, he might be wise to take that one step further; to unplug everything he owns and just be completely unreachable for a few days. I can’t recall a defensive coordinator ever getting canned five games into a season. But if there ever was a time for such drastic measures, it would be after this blowout -- when Duck Dynasty was replaced by Duck Droppings, with Brady Hoke right in the center of it all.